Here are expired listings for Billboards for Rent. in Saskatchewan. This sign is second last in the line when heading west through the corridor, entering the Swift Current area. This sign is one of eight in a corridor. It is the third sign seen while heading west through the corridor. First sign in the eight sign corridor. Last sign in the corridor when heading west. 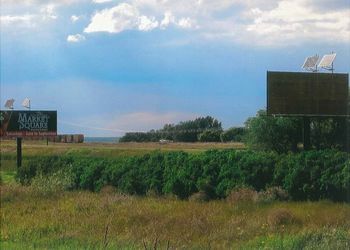 This sign is the first in a series of 8 large signs that greet a traveller entering the Swift Current area. It is oversised at 10'x30', and is followed by 6 10'x20' signs and one other 10' x 30' sign. One of eight signs heading west on the corridor. This is the second sign in the line. One of eight signs heading west on the corridor. This sign is in the middle of the group. One of eight signs heading west on the corridor. This is the third last sign in the line. One of eight signs heading east on the corridor. This is thesecond sign in the line.